Proprietary Name: Gas Relief Ultra Strength What is the Proprietary Name? Non-Proprietary Name: Simethicone What is the Non-Proprietary Name? Gas Relief Ultra Strength with NDC 41250-343 is a a human over the counter drug product labeled by Meijer, Inc.. 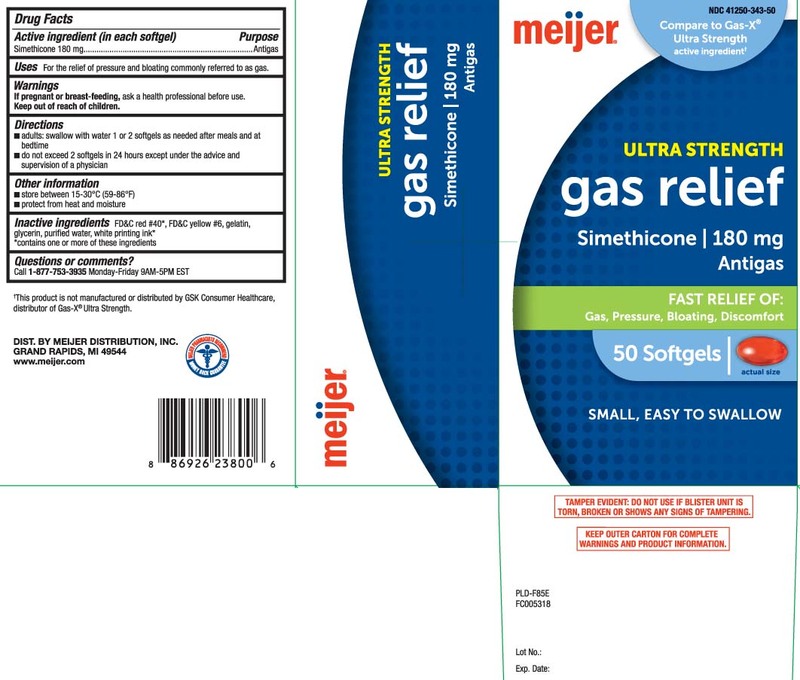 The generic name of Gas Relief Ultra Strength is simethicone. The product's dosage form is capsule, liquid filled and is administered via oral form. FDA Application Number: part332 What is the FDA Application Number? For the relief of pressure and bloating commonly referred to as gas.